IN AN ideal world, we would love to imagine band members being the best of friends, living intensely and in close quarters on tour and spending more time with each other than anyone else. What happens, though, when two of those band members are in one of the most explosive rock’n’roll bands that Britain has ever spawned? 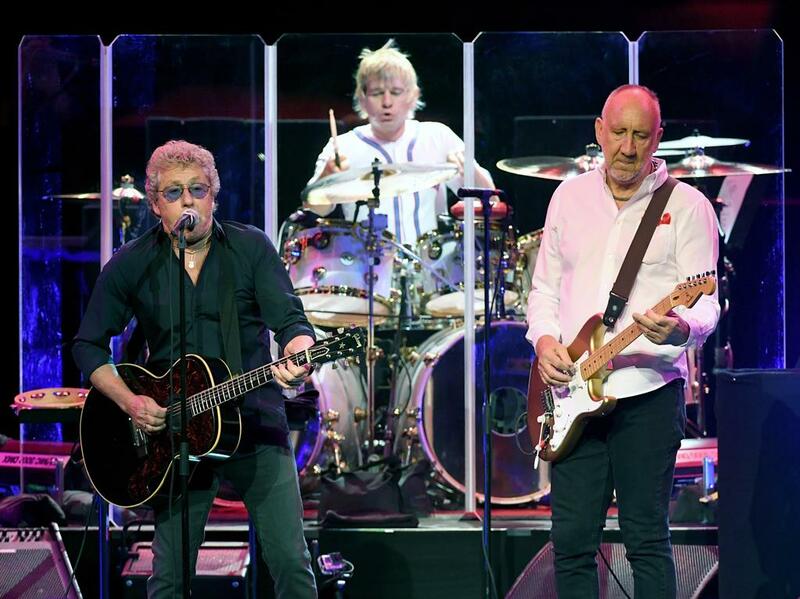 The Who’s Pete Townshend and Roger Daltrey recently took a year-long break from each other, reportedly only communicating via their management. Today, they’re sat at opposite ends of a sofa, backstage at Wembley Stadium, to talk about a show they’re playing here in July. It’s been a very long day of interviews but they seem in good spirits, even if they disagree occasionally. While Pete insists they ‘never really did spend a lot of time together’, Roger remembers it differently. ‘We did in the very, very early years when we were 17 to 19. We used to go and play golf a lot, do all these silly old men things and we went fishing a lot. Do you remember?’ A sigh from Pete. ‘We went fishing once!’ ‘Only because you didn’t catch anything!’ Roger retorts. Is another split on the horizon? Fortunately, at this point, they both laugh. ‘I hung out with a different crowd,’ Pete continues. ‘We’re very easy in one another’s company but today is so different to how it went. We were four very different people.’ July’s show sees them accompanied by an orchestra, as well as familiar faces such as Peter’s brother Simon on guitar, keyboardist Loren Gold, bassist Jon Button and drummer Zak Starkey, who is Ringo Starr’s son. One must wonder if – or to what extent – this dynamic has shifted over the years. ‘The Who isn’t the Who it once was, it’s Pete and I, so we can do whatever the f*** we like,’ says Roger, defiantly. And with this tour, they are. So what we can expect at Wembley? ‘Expect nothing and you won’t be disappointed. When we were asked to do this tour, I said I’d really like to, but I didn’t know what we’d do – we’ve been constantly touring. 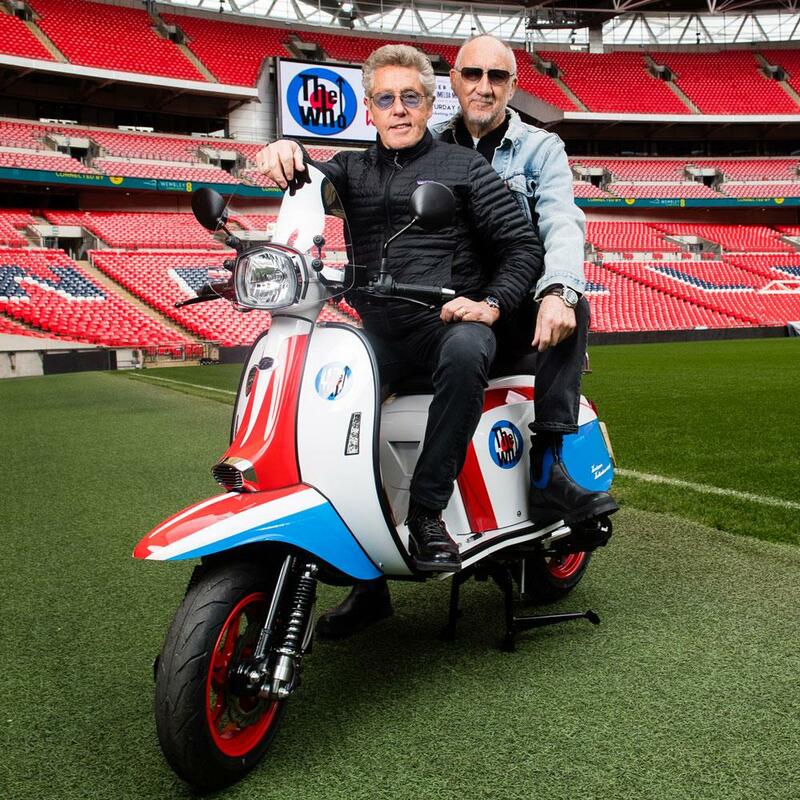 The Who toured Quadrophenia, we’ve toured the hits… it feels like we’ve got to do something a bit different. Pete, though he admits to being uncertain at first, agrees. ‘I’m intrigued by it. I’m excited, It’s an audacious idea.’ Both are keen to make sure that The Who’s reputation remains intact. ‘Being a singer of the age I am,’ says Roger (he’s 75, Pete’s two years’ younger), ‘it makes me feel like I still have a bit of dignity on stage rather than trying to be what I was 40 years ago. It’d be wonderful to say we’d do many more shows in the future but at the age we are, it’s remarkable we’re still standing with the life we’ve had! Given the length of their career, it’s no wonder the music industry has evolved and not all for the good, says Roger, who thinks that Instagram and the like has ruined the rock star image for many new bands. Pete disagrees and feels like it can be a force for good. ‘I really don’t care what singers have had for breakfast but I do care that they’re alive and that they’re gigging and touring. It takes so long to do this social media stuff. Pete nods. ‘He can work a computer now!’ he exclaims. ‘One finger at a time. I think we would have used social media really well. 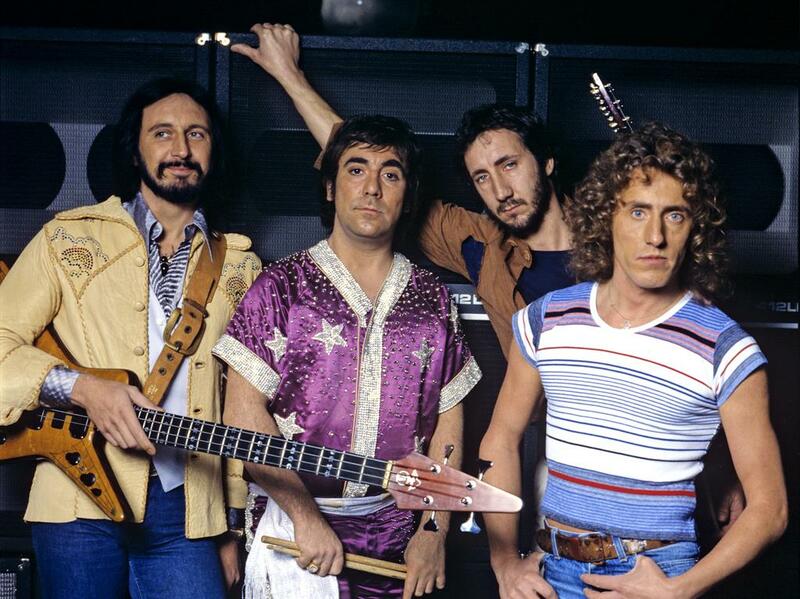 We would have been right into it, I think.’ There’s certainly plenty of life in The Who, yet. 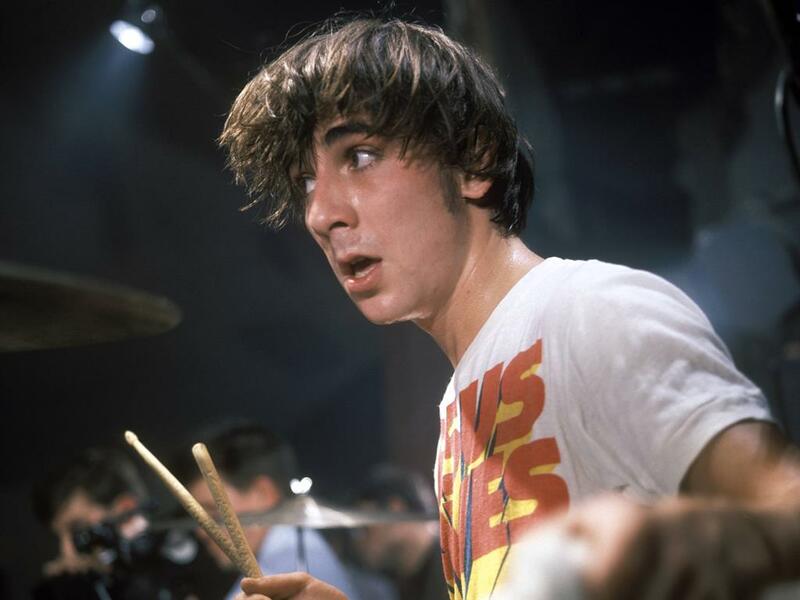 The ultimate rock’n’roll hellraiser, The Who’s drummer Keith Moon grabbed headlines and the public imagination as much for his wild offstage antics as for his phenomenal drumming. His life ended tragically early in 1978 at just 32-years-old from an accidental overdose of a drug meant to help him beat his alcoholism. So what was it like to be close to a man who put sticks of dynamite in hotel toilets, hurled TVs out of windows and, on more than one occasion, collapsed while playing live? So, who are Pete and Roger listening to now? Roger: I’m listening to the birds outside because I can still hear them and I’m worried by the end of this tour I’ll be deaf! Pete: I listen to a lot. I’m not like Elton John who listens to every single f****** thing that’s out there. My wife [Rachel Fuller] made an album and she said that Elton is the only person who listened to it, but he loved it. R: He doesn’t answer his emails, though! P: I listen to different things, I try to trick the algorithms on Spotify. It thinks it knows what I want to hear and it doesn’t. What I want to hear is new and surprising. I’ve been listening to net radio. I was listening to a rap station in Baltimore, a lot of heavy rap came from there and I heard an amazing record and thought I’d made this amazing discovery. 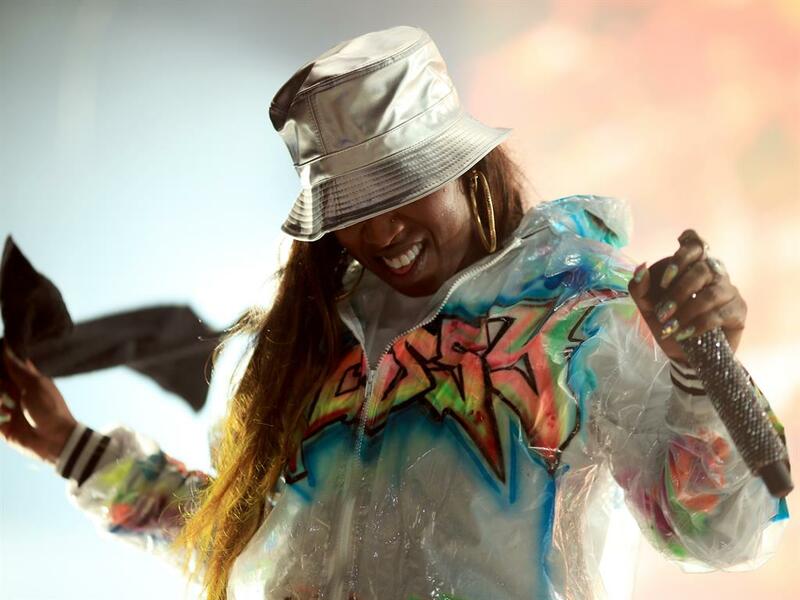 P: I shazammed it and it was Missy Elliott from years ago! It was new to me, though. I love finding new stuff.